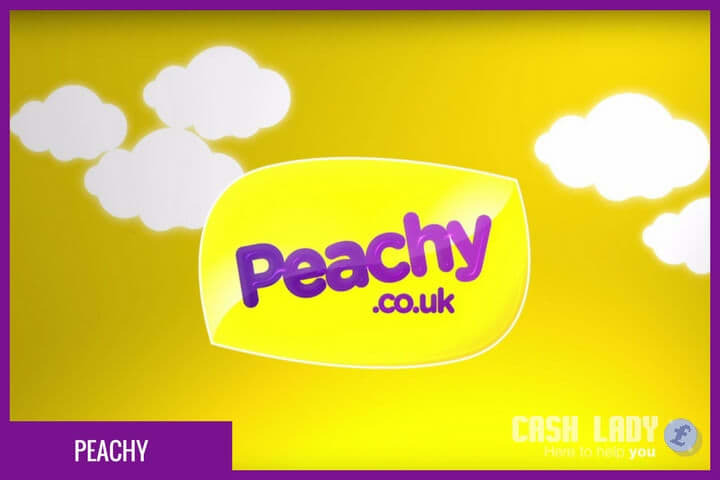 Peachy is a trademark of Cash On Go Ltd, who are a finance provider based in Manchester. Offering short-term and instalment loans from £50 -£700, repayable over between 1 – 12 months, Peachy believes in offering their customers flexibility without any hidden fees. What is the duration of a Peachy loan? Peachy loans vary from one to 12 months, allowing you to repay in smaller amounts over a longer period if you prefer. You may also apply to extend your loan while making your repayments, although remember that the longer the loan term, the more interest you will pay overall. You can apply for £50-£700. The amount that you are offered will depend on Peachy's assessment of your credit file, credit history with them and loan affordability. What is Peachy's loan application process? You must first complete an online application form though the Peachy website, providing your personal, contact, employment and financial details. Once these are submitted you will receive an email link to set up your online account, with a password sent your mobile phone. Peachy will go through your application and check your identity and credit file, and they may also call you if further information or supporting documentation is required. Once your loan has been processed, usually within minutes, you will receive an email or a text message notifying you of their decision. How quickly will I receive my loan from Peachy? Peachy aims to process your loan within 15 minutes, although in some cases it may take up to 24 hours. Following approval, they will transfer the funds to your bank account within 15 minutes -depending on your bank it may take up to an hour. If you apply out with their opening hours of Mon-Fri 10 am to 6 pm, and Sat-Sun, 12 pm to 4 pm, then it is likely that you will receive the funds the following morning. The amount of interest that you are charged depends on the amount that you borrow and for how long. Peachy loans have representative APR of 1255.66%, which means that 51% of borrowers are offered this rate. The remaining 49% are subject to different rates, depending on their loan type and financial circumstances. Borrow £250.00 for 3 months. Repay in 3 payments. Each payment: £126.48. Total repayment: £379.44. Interest: £129.44. Interest p.a: 292.25% (fixed). Representative 1255.66% APR. Peachy charge a late payment fee of £15 if you miss a repayment and then fail to bring your account up to date by the following day. To avoid this happening Peachy will send an email reminder close to your repayment date so that you can ensure that the funds are available in your bank account. Can I repay my Peachy loan early? Peachy encourage you to repay early if you can, as this will reduce the amount of daily interest due on the amount borrowed and therefor the total amount that you are required to pay back. To repay early text REPAY to 6889987 or log into your account and click on REPAY. Will Peachy run a credit check? Peachy take their responsibilities as a lender regulated by the Financial Conduct Authority (FCA) seriously and will run a credit check as part of your loan application process. If you have a County Court Judgement (CCJ) on your credit file, gained within the last six years, then you are ineligible for a Peachy loan. What help and support do Peachy offer? The Peachy customer support team are available Monday – Friday from 10 am to 6 pm. You can call them on 0800 0124 743 or send an e-mail to info@peachy.co.uk and you may also use their live online chat facility during the application process. You may access your account online 24 hours a day, where you can monitor the progress of your application and then make updates to your account. Where can you find online reviews of Peachy? You can find reviews from genuine Peachy customers on online business review platform, TrustPilot. Peachy currently has an average score of 8.7/10 from over 1,100 customers, which places them in the 'great,' category. What are Peachy’s FCA registration details? Cash On Go Ltd is authorised and regulated by the Financial Conduct Authority under registration number 674331. Check the details here. Applying through CashLady is simple. Submit just one application and we’ll get to work, using our vast industry knowledge and portfolio of over 15 loan providers, to bring you a selection of quotes from suitable providers, including Peachy. We’ll provide the relevant rates and prices, repayment terms and other important details that will help you to compare loan options and select the perfect finance solution for you.